I’m on track to finish camp today! 10,000 words doesn’t seem like very much when I glance back across the scenes I wrote this month, but it’s a big accomplishment for me. 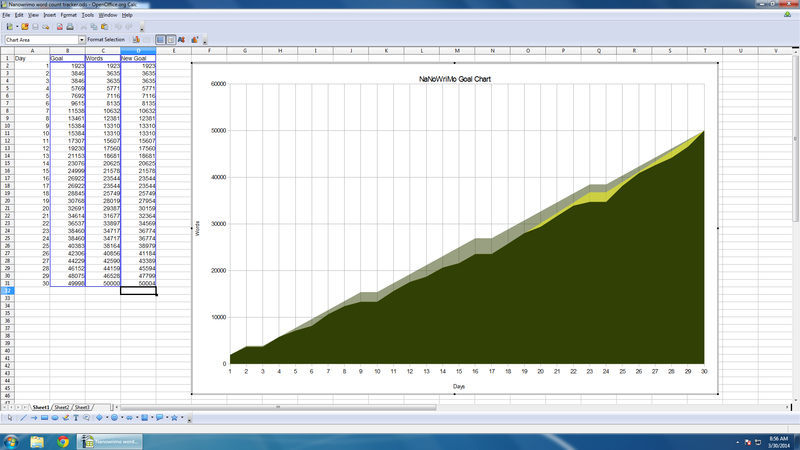 Really, any amount I write gets me closer to that sweet “The End” summit up ahead. So, how did you succeed this month? Where did the week go? Friday snuck up on me. 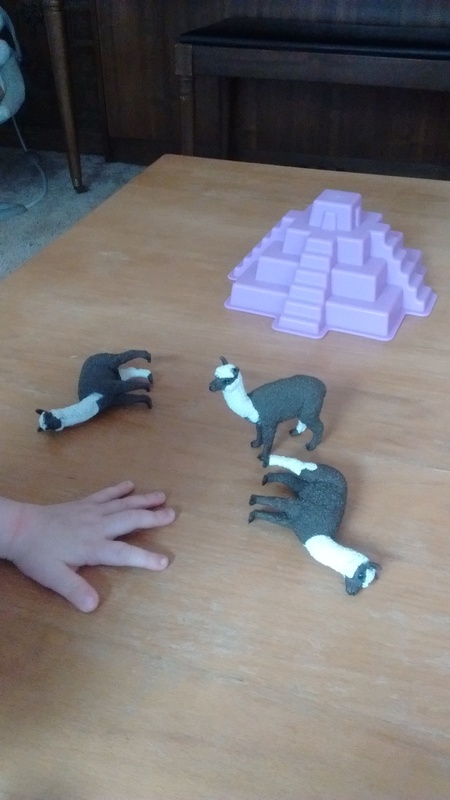 This morning I went looking for some pre-Incan ruins on Google images to fuel my next scene in Featherfolk. Maybe it was a mistake to fill my head with all that right before checking out the sale at my local toy store? Maybe not. 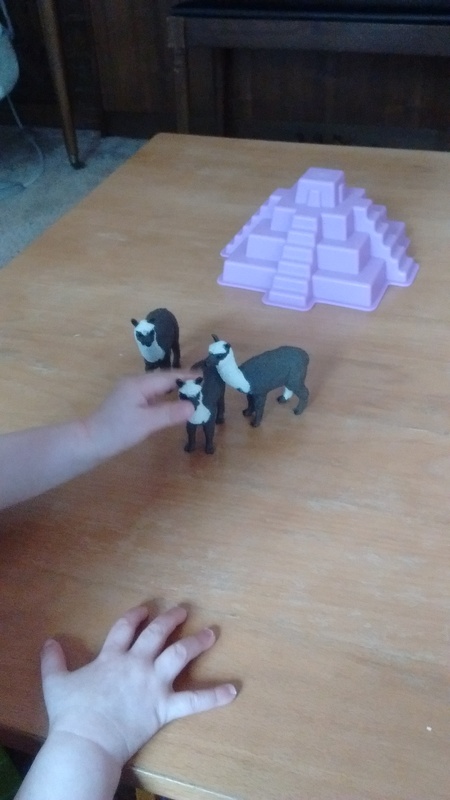 I came home with this little herd of alpacas and this sand castle mold. I’m a few hundred words behind in Camp NaNoWriMo, but I’m determined to catch up by the end of the month. So far, some awesome scenes have taken shape. Here’s hoping for some more. I’d like to share a few things I learned from Ilima Todd’s “Writing the Unputdownable Story” lecture from WIFYR last month. An unputdownable story will have a character you want to follow. He or she doesn’t have to be likeable, but s/he should be relatable, have a complex personality, have faults, and go through some kind of growth. S/he needs to have a need. A concrete need. As the author you have to make sure s/he doesn’t get it and make it more and more difficult to get as the story progresses. At the end, s/he either gets it or learns that s/he doesn’t need it anymore. Another element to keep readers reading is tension. Each scene should have conflict, internal or external or both. Let things go wrong for your character. Have characters with conflicting goals, where both can’t win. Or give your characters’ actions unintended consequences. Stakes. This is an area I was falling short in with my recent drafts. What happens if your character doesn’t acheive his or her goals? There need to be stakes, which should rise throughout the story and series. These were the big things I took from her lecture. I hope they’re helpful to you. I’m putting my fingers where my mouth is (yum?) and doing another 10,000 word Camp Nanowrimo this month. I reached my goal of 10,000 words last month for Camp NaNoWriMo! That got Featherfolk draft III off to a good start. I also wrote a flash fiction piece for the Mormon Lit Blitz competition. Here’s hoping I make it as a finalist! This month has been hard, but not as crazy as a November NaNo. Still, I’m looking forward to kicking back a little and getting some crocheting done. While my Hufflepuff scarf gradually grows, I’ve been practicing with color. I can now keep two separate strands tensioned on my left fingers while I crochet. Yes, the above swatch is crocheted! 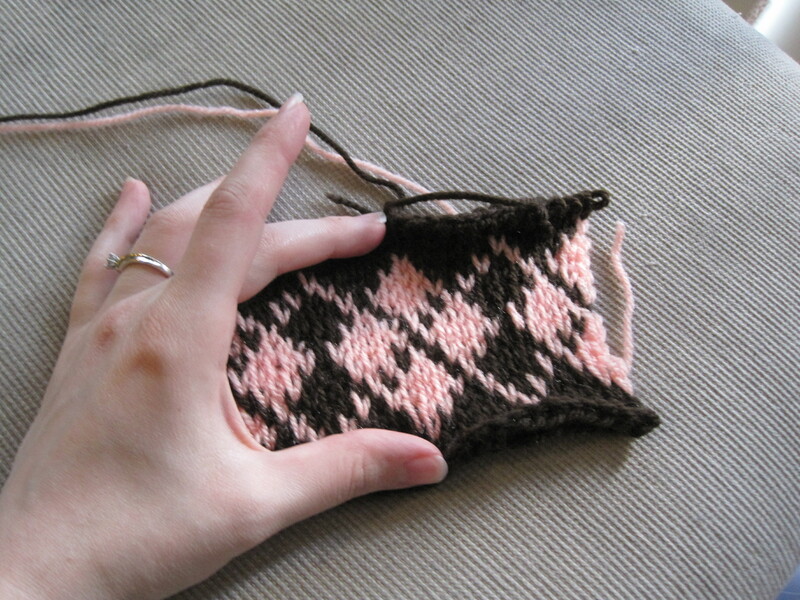 Tunisian knit stitch makes for a bulkier textile than I usually like, but it looks very neat. Rather than the “k”s of Tunisian simple stitch, it makes “v”s! And Camp NaNoWriMo is going swimmingly. I’m even a bit ahead of schedule and having bunches of fun with my lovely cabin mates. Remember what I said last week about NaNoWriMo-induced frenzies? I decided last-minute to pack up my metaphorical gear and head out to camp. My goal for April Camp is a modest 10,000 words. Minus Sundays, that means just under 400 words a day. I’m all cozied up with writing buddies in a cabin, and we’re typing away. The first time I heard about National Novel Writing Month, I thought my friend was insane. 50,000 words in 30 days?! I made a half-hearted attempt the next year, just because a few of my friends were going for it. Needless to say, I didn’t get far. A few years later in November 2011 I gave it another shot. There’d been a story rattling around in my brain called Genie and the Trinketeers, and I wanted to write it. I didn’t believe I could do it in one month, and guess what? I ended the month at around 23,000 words. November 2013 rolled around. I’d graduated college, my husband had found a well-paying job, and I was unemployed. This time I bet on myself. I wanted to prove to myself I could do it. I thought I should do it, at least once in my life. And I won. 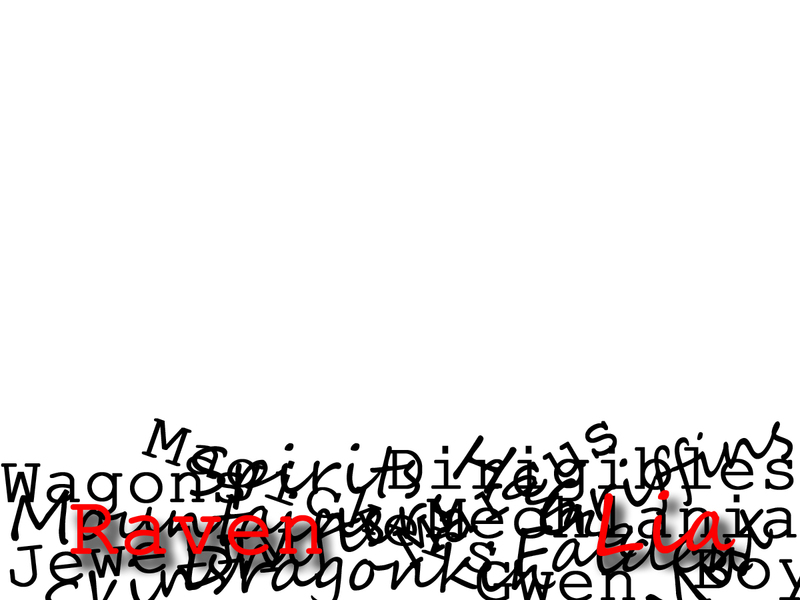 My prizes: a 50,000-word partial first draft of the sequel to Raven and the Trinketeers, 50% off Scrivener (I’m never going back to OpenOffice), and the knowledge that I could push myself to write. Every day. All day, if I had to. That’s why I’m doing it again. Today marks the start of Camp NaNoWriMo, and I’m probably typing furiously away as you read this. I don’t think NaNoWriMo is for everyone, but for me it seems to be the most efficient way to get a story out of my head and into a file where I can do something with it. Here’s to a new first draft!